Hammer and Tong is one of those cafes. You know the ones that generate a lot of buzz but at the same time are shrouded with a sense of exclusivity and mystery. 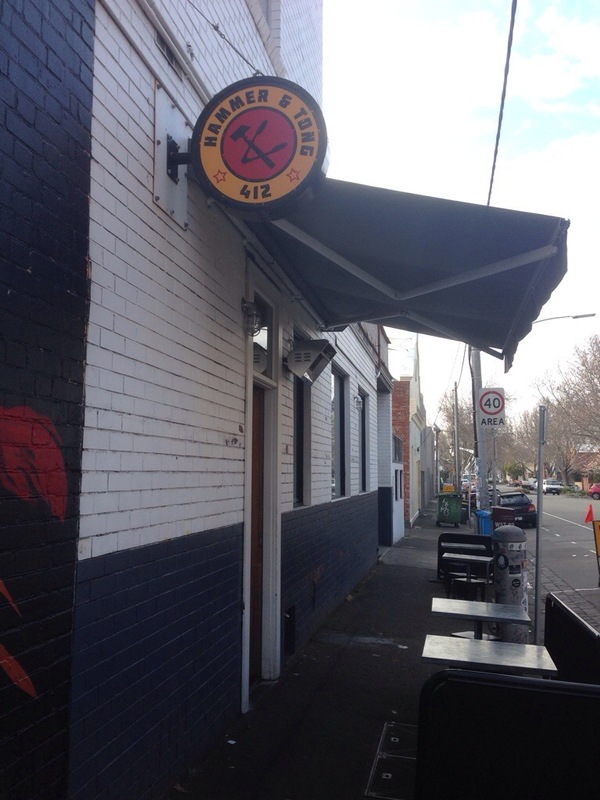 You’ll find the cafe off Brunswick st with very little signage and you probably need to know what you’re looking for in order to find it. Inside you’ll find cool people. Foodies with cameras out, people that make the game ‘hipster or homeless’ entertaining and the hippie with a bowler hat and a bird on her shoulder. We may not be as cool as those people, but they are some of the reasons we loved Hammer and Tong, it’s on the edge, both with it’s cuisine and in those people who frequent it. 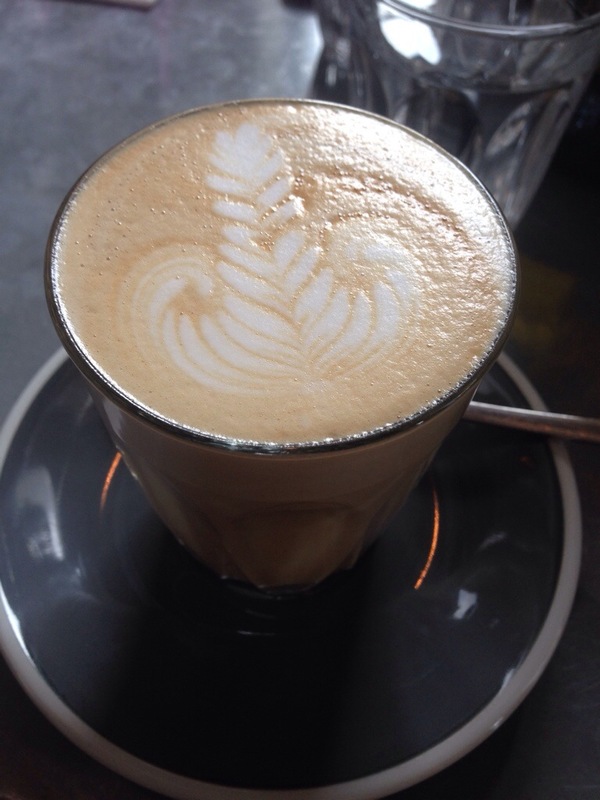 We really enjoyed the coffee at Hammer and Tong, it was obviously brewed with care and was a creamy and flavoursome coffee. 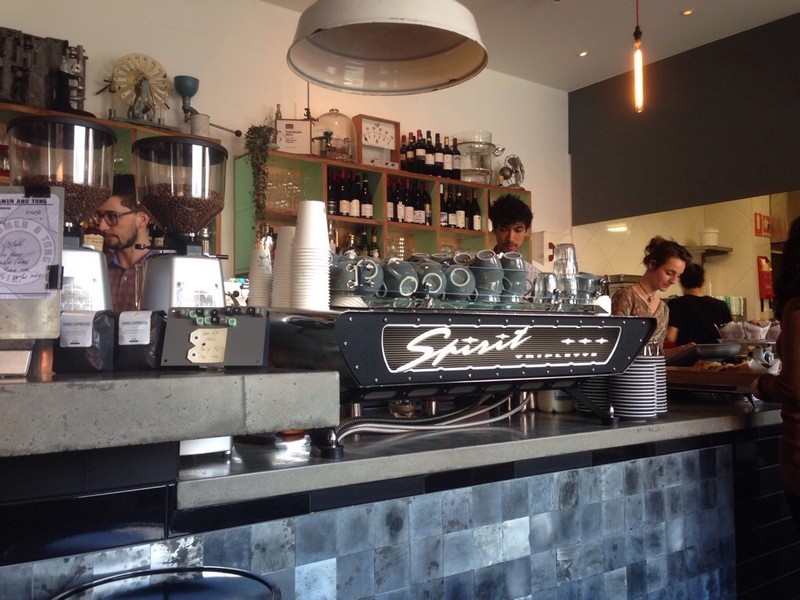 They use Dukes Espresso, a roaster based in Melbourne that you’ll also find in house at Small Print, in the Perth CBD. 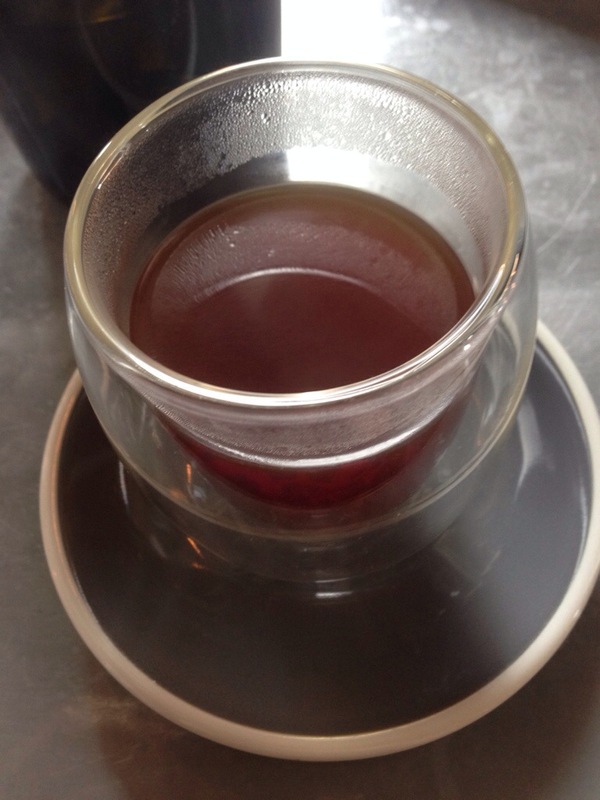 We also tried their aero press, a method we use at home so were curious to try their brew. Unfortunately though theirs had a nice flavour they seemed to have served a temperature hotter then we would usually, (over 90, we tend to use 85-90) but it could be a matter of personal preference. The menu here is on the cutting edge of cuisine, and you really need to read it a few times before you can take it in. There’s the safe options too, but when you’re in a place like this, safe just doesn’t cut it. First up was this work of art on a plate. 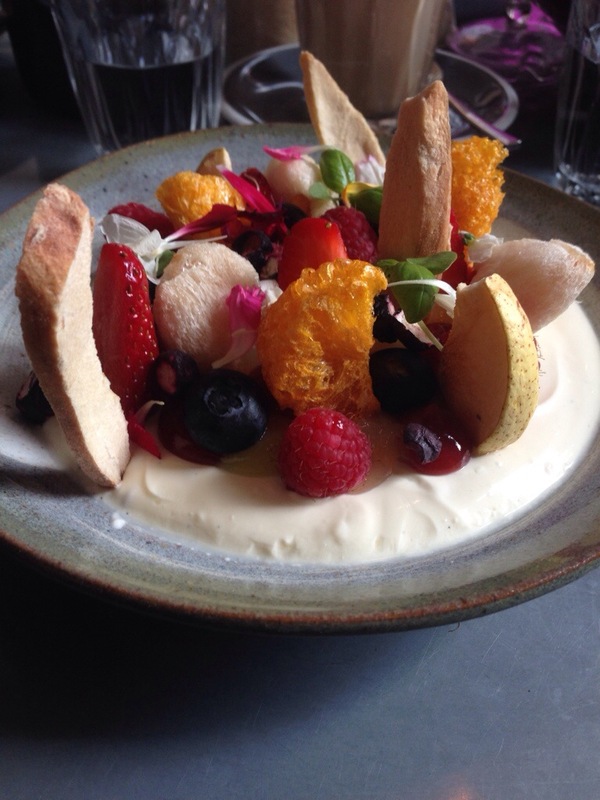 A delicious lavender yogurt custard, with a collection of berries and fruits. The yogurt was smooth with a nice natural yogurt flavour though not particularly custard-y. The fruit was fantastic, a mix of textures and flavours that blew your mind. The dehydrated citrus in particular had so much flavour and a crunch that made you second guess what you were eating, this was a fantastic dish and we would wholeheartedly recommend it! 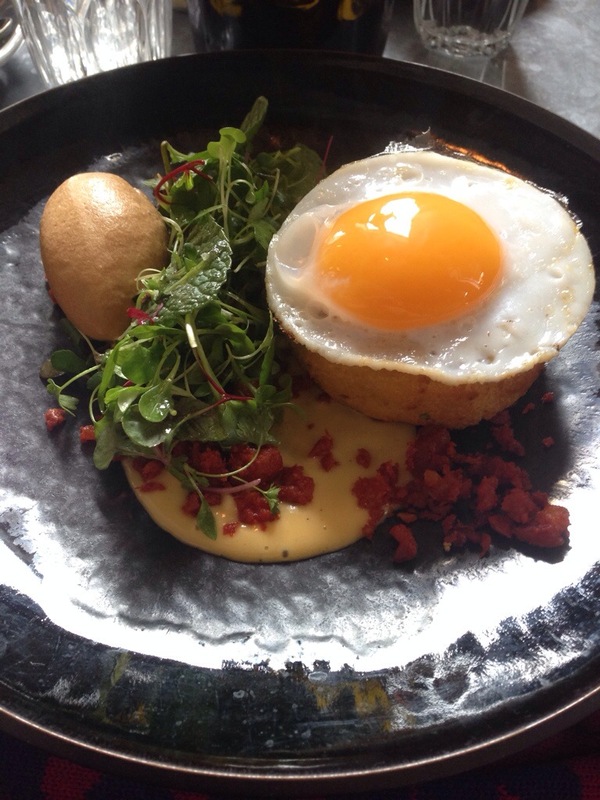 We also tried the salt and pepper french toast with a fried duck egg, chorizo crumb and salted caramel ice cream. Yes take a moment to read that again, it sounds strange, but damn does it taste good. The savoury french toast with the rich egg and salty, bitey chorizo contrasted perfectly with the cold and creamy, sweet caramel. Salty and sweet is a combination that works, but to pull it off in a dish like this is something else, the level of nuance and complexity of the flavour and how well balanced it was is a testament to the skill of the Hammer and Tong kitchen. The french toast was an excellent vessel to carry the flavour, and like the rest of the dish was cooked to perfection. The food at Hammer and Tong is something you’ll have to try for yourself to believe, we know where we’ll be going next trip to Melbourne!